Roskilde Festival is one of the biggest music festivals in Europe. The nice thing about this festival is that it has room for all kinds of people: punkers, emos, elderly, children, rockers, indies etc. This little fellow was really rocking out to one of the concerts this year. 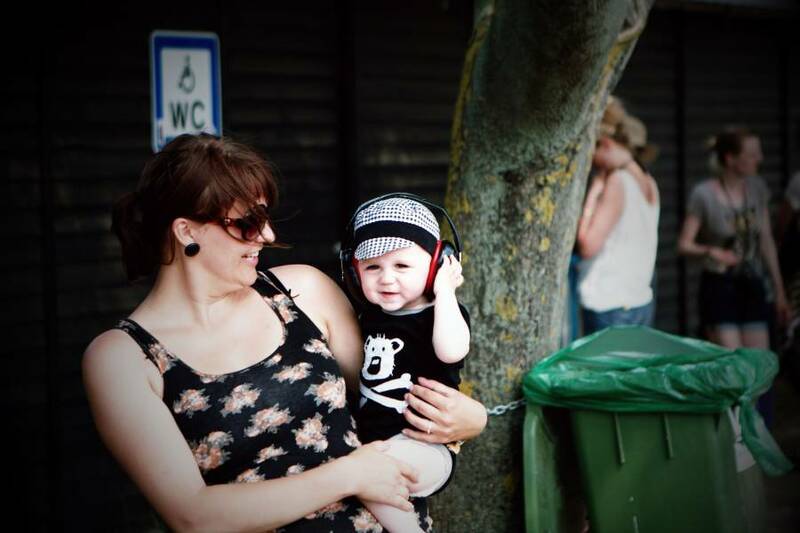 Not even old enough to walk on his own but already loving the music (this was actually a Motorhead concert). His mother was clever enough to guard his ears with these huge “earguards”.